Roger Kupelian is a visual effects artist who has been working in the film industry since the early nineties. 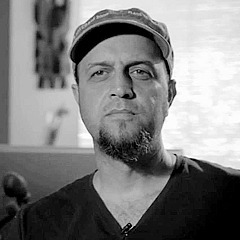 Well versed in many forms of visual media, Roger has worked on storyboards, production illustrations, music video concepts, and creating digital environments for major film productions. He is known for his artistic work on blockbuster films like the Lord of the Rings trilogy, Alice in Wonderland, Cloverfield, Hugo, and Pirates of the Caribbean. His digital effects work on Lord of the Rings earned him a nomination for Best Matte Painter at the Visual Effects Society Awards. He was also nominated for Outstanding Created Environment in a Broadcast Program or Commercial for FlashForward.